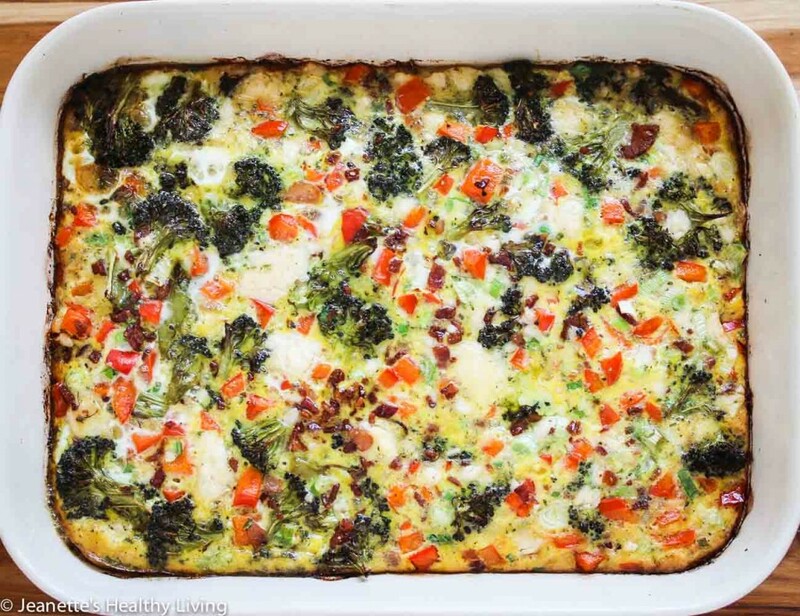 This Roasted Broccoli Red Bell Pepper Pancetta Breakfast Casserole is easy to prepare for breakfast or brunch. 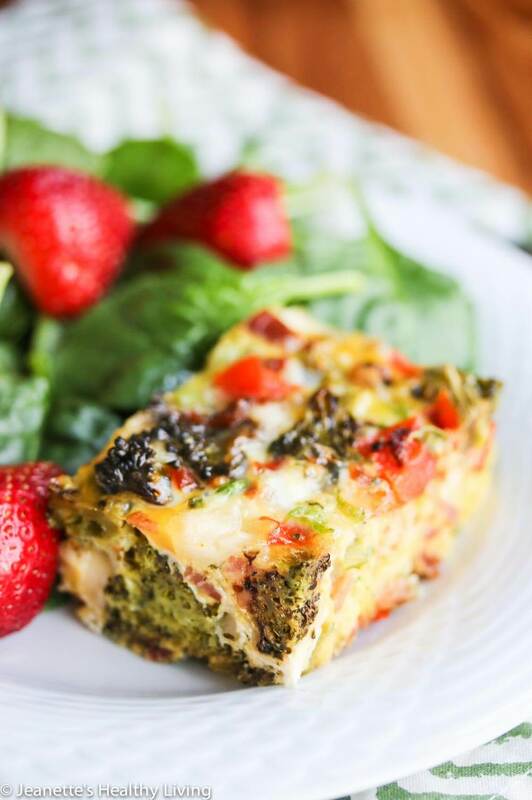 Breakfast casseroles are wonderful for holidays or entertaining, or simply when you’re looking for a one-dish breakfast or brunch idea. They are similar to quiche except there is no crust. This past weekend, our church had a farewell party for our Associate Pastor where everyone brought something. I’ve always loved the idea of potluck meals where everyone makes something different and you end up with a smorgasbord. That’s something I truly appreciate about our church – the feeling of community. It almost sounds a bit old fashioned in this day and age of high tech where community means social networks like Facebook. Although social networks are a great way to connect with people you don’t see everyday or may have never met, it can never replace the intimacy of real life gatherings. 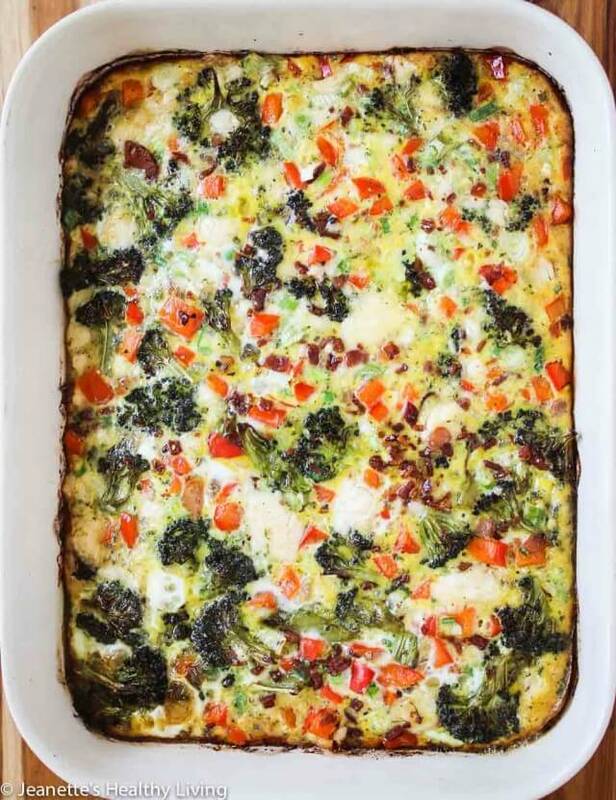 This Roasted Broccoli Red Bell Pepper Pancetta Breakfast Casserole was my contribution, inspired by a recipe card Sartori enclosed with a sampling of cheeses they sent recently. I loved the idea of roasting the broccoli first for a little smoky, caramelized flavor. Crispy pancetta adds some meaty flavors (perfect for the meat-lovers in this crowd). 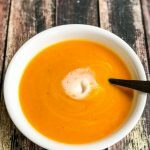 Flecks of red bell pepper add a boost of color and a little extra nutrition. Although there’s the extra step of roasting the broccoli first, it’s not that big a deal since the oven has to be turned on anyway to bake the casserole. Crispy bits of pancetta, bright red bell peppers, a creamy/fruity/tangy cheese, and bright scallions combine to make a special breakfast casserole. My son kept sneaking bits of crispy pancetta and cheese while I was taking pictures. Once you’ve prepped the ingredients, simply toss them together and transfer to a casserole dish, pour the eggs on top and bake. 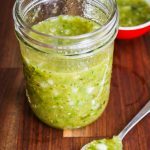 Use your favorite herb blend for flavoring – I used Fines Herbes, one of our favorite herb blends. Bake for 35 minutes, and voilà you’ll have a breakfast casserole that’s elegant enough to serve for company. 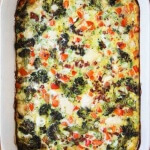 I made this Roasted Broccoli Red Bell Pepper Pancetta Breakfast Casserole a day ahead and reheated it the next morning. For our party, I cut this casserole into 36 bite-size pieces since it was part of a large buffet. If you’re serving this for a smaller crowd, it will serve 10-12 people. 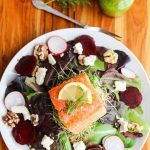 All you need is a fruit salad and greens salad to go along for a light, easy brunch. Preheat oven to 425 degrees. 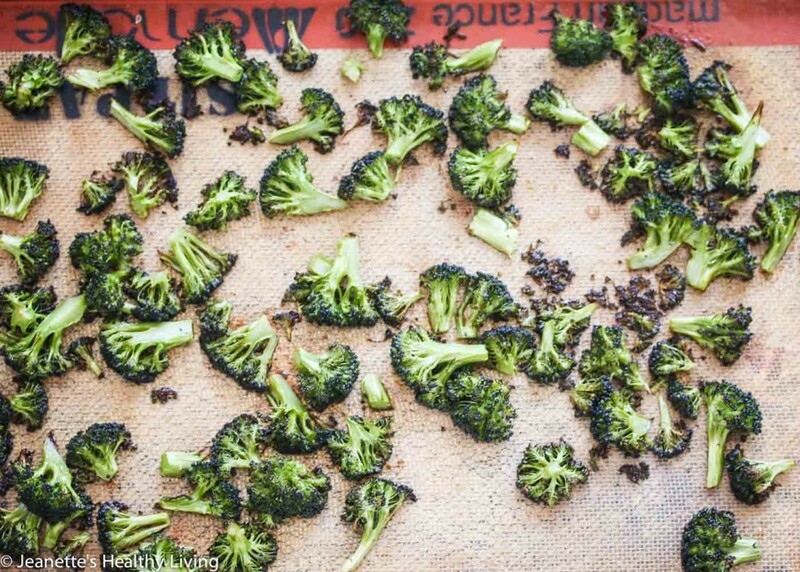 Toss broccoli with olive oil, salt and pepper in a large bowl; transfer to a baking sheet. Roast 25 minutes until browned; remove from oven. Reduce oven temperature to 375 degrees. Saute pancetta in large skillet until crisp; use slotted spoon to remove to paper-towel lined plate. 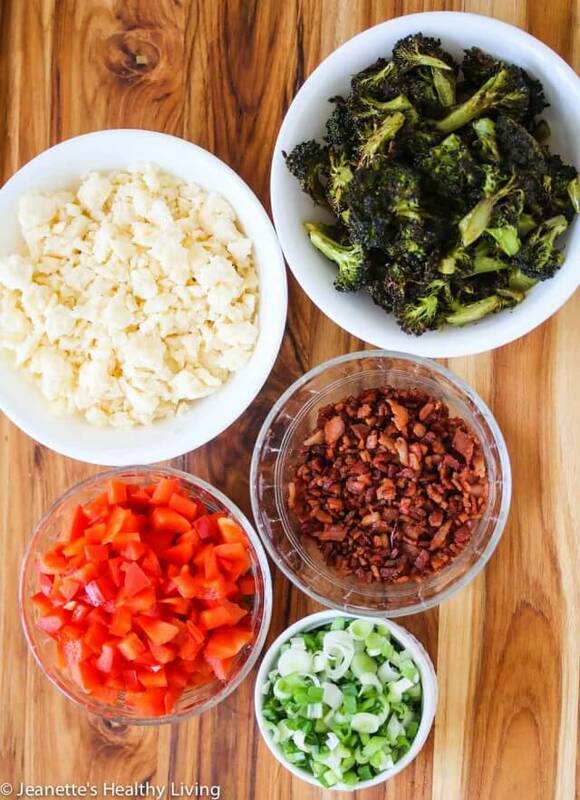 Gently toss roasted broccoli, crisp pancetta, crumbled cheese, red bell pepper, and scallions in a large bowl. Transfer to lightly oiled 9"x13" baking dish. Lightly beat eggs in large bowl with fines herbes, black pepper and salt Pour over broccoli mixture. Bake 35 minutes at 375 degrees or until lightly browned and eggs are cooked through. This is GREAT for any meal, Jeanette. I love broccoli and enjoy them even raw and roasting definitely brings the best flavour of them. This looks like a great way to serve eggs to a crowd! Pinning to make! I cut this into smaller pieces for the party which was perfect since there were so many other things to choose from. Thanks for the inspiration! I was just wondering what I was going to do with all my capsicums (bell peppers) in the fridge 🙂 I love getting a few serves of veg in at brekkie! 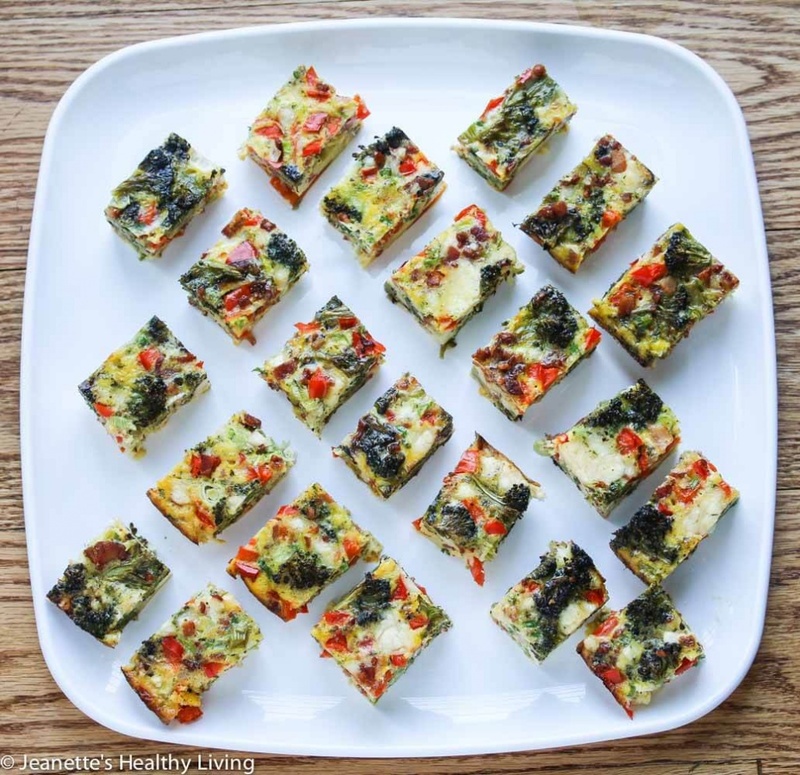 This is definitely an easy and delicious way to use up extra veggies! 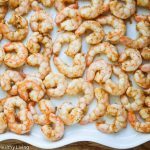 This is absolutely perfect for a pot luck! LOVE! 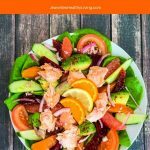 Thanks Deborah – this is definitely great for a pot luck – easy too! Looks so good Jeanette. Thank you and have a great Monday! Thank you Liz – have a wonderful week! This is such a beautiful casserole, Jeanette! 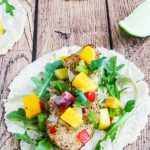 I love all the pretty broccoli and red bell peppers in here – this sounds perfect for a pot luck! Egg casseroles are definitely one of my favorite things to make when I need to serve a bunch of people. It’s so easy to make, and I can always pack in so much flavor. 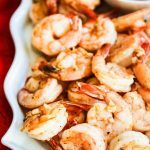 Saving this recipe for my weeknight meals! 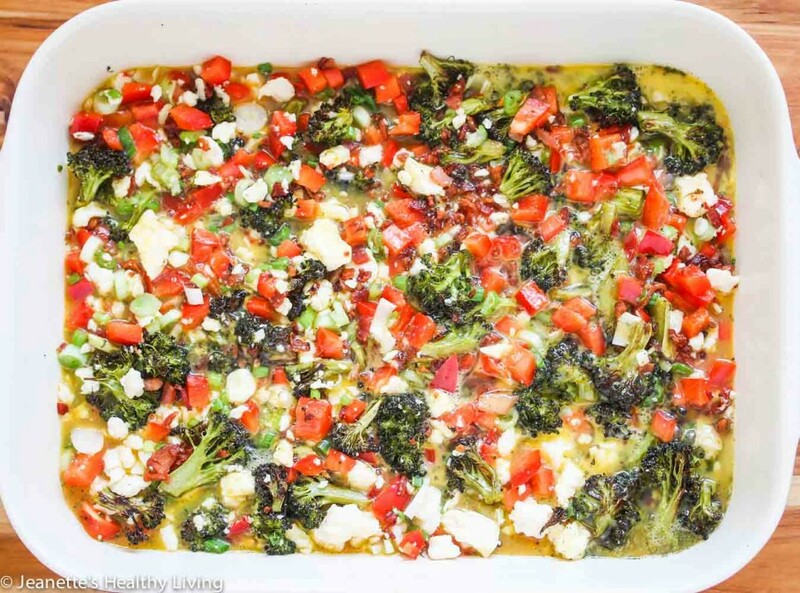 Yes, egg casseroles are great for a crowd, and so versatile since nearly any kind of vegetable works. What other cheese be substituted in the recipe? Looks delicious! 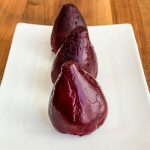 Hi Allison – you can use whatever your favorite cheese is – cheddar, swiss, goat cheese, feta, etc. Looks great – but I would like he nutritional info so that I can calculate my Weight Watcher points. Can this be frozen after it has been cooked? Hi Kate – I have not tried freezing this, but I don’t recommend it. 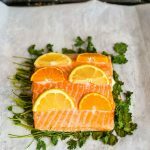 You can halve the recipe and use greased muffin tins if you want to make smaller portions. This looks beautiful! Love the idea of using roasted broccoli and pancetta. This would be phenomenal for a brunch gathering or upcoming Mother’s Day breakfasts. Thank you for sharing. Can’t wait to try our hand at this. Thanks – yes, great for brunch and special gatherings! That looks delicious and healthy, and i have most of the ingredients. Replacing cheese with haloumi and the panchetta with ham. I will make it for breakfast tomorrow and then freeze portions for during the week. 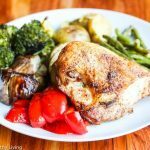 I just love any kind of vegetable roasted – it brings out such a wonderful flavour. That sounds delicious! Hope you enjoy it!